About this post: Many countries now offer visa on arrival for Indian passport holders – and the Sri Lanka ETA (e-travel authorisation) which serves as a Sri Lanka tourist visa for Indians is among the simplest, fastest and cheapest to score. In this detailed post on the Sri Lanka visa for India, I simplify the Sri Lanka visa process for Indian citizens, including the Sri Lanka visa on arrival, ETA processing time and what to expect at immigration at Colombo airport. 15 minutes. That’s all it takes to score the Sri Lanka ETA – the online document that serves as the visa for Indian citizens travelling to Sri Lanka. 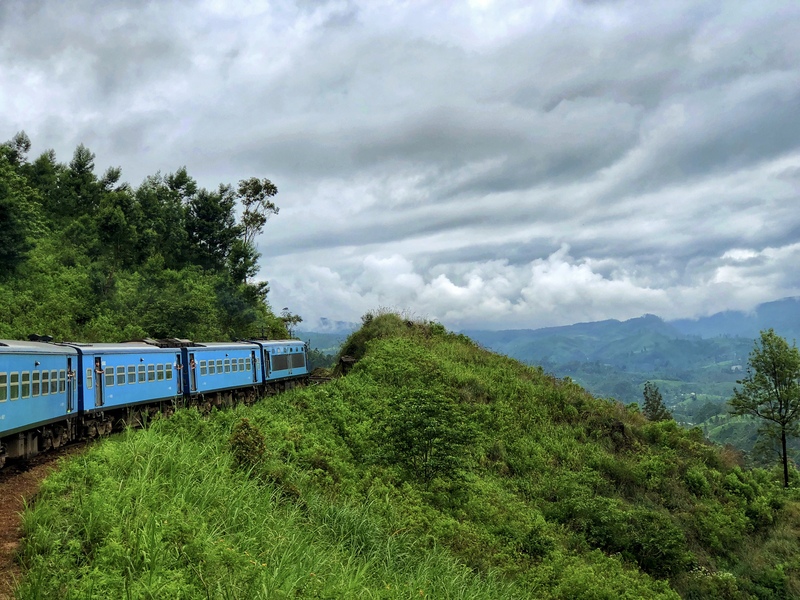 That’s all it takes to transport yourself into a world of incredible train journeys, tea plantations, stunning beaches, misty hills and wildlife parks. The tourist visa to Sri Lanka is a 30-day, double entry visa, issued to Indian passport holders via email in the form of an Electronic Travel Authorization (ETA) by the visa authority of Sri Lanka. In order to apply for this visa, all you need to do is fill the Sri Lanka ETA application form, as part of which, you have to enter your intended date of travel and accommodation address in Sri Lanka. Before submission, the visa fee needs to be paid online. For an individual tourist visa, the Sri Lanka visa fee for Indian citizens is only 20$ (~INR 1400). Note that the ETA is valid for only up to 3 months, so the earliest you can apply for a visa is 3 months before you travel. Once you submit your Sri Lanka ETA application and pay the visa fee, you will receive an “ETA Acknowledgement” by email in the span of a few minutes. The ETA Acknowledgement is merely a confirmation of the receipt of your application; it is not a visa and does not guarantee your entry into Sri Lanka. The official Sri Lanka ETA processing time is 24 hours, but I’ve always received mine within a few minutes of the ETA acknowledgement. It’s best to keep a buffer of a few days before your trip though. The “ETA Approval” works as your visa to travel to Sri Lanka and contains your ETA number, name, validity and entry type. If you have applied for the Sri Lanka ETA, but haven’t received an approval, you can check the status here. I’ve always found the immigration process at Colombo Airport to be quick and hassle-free. I’ve been asked to show my return flight ticket before boarding my onward flight and the ETA print-out at immigration in Colombo. It’s best to be prepared with the rest of the above documents too. The Sri Lanka ETA visa allows you to stay in Sri Lanka for a period of 30 days, following which you can apply for an extension of two months. I’ve never tried it personally, but as per the official guidelines, Indian citizens can apply for an ETA extension by visiting the head office of the Department of Immigration in Colombo. You need to submit an application with your photo, return air ticket and accommodation details in Sri Lanka. See more details on the Department of Immigration website. Indian passport holders can also procure a visa after landing in Sri Lanka. Instead of filling the ETA application form online, you need to do it at the airport. The Sri Lanka visa on arrival fee for Indians is 25$ (~INR 1800), slightly higher than what you would pay online. I prefer applying for the Sri Lanka ETA online, before I travel, so as to ensure that I have a confirmed visa and quick immigration – for I hate to keep those adventures waiting! Sri Lankan Airlines, the official carrier of Sri Lanka, flies direct from many Indian cities to Colombo, including Delhi, Mumbai and Bangalore – and I love the Sri Lankan flavors on board! Splurge: Cinnamon Grand Colombo, an indulgent stay in the heart of Colombo, surrounded by old banyan and coconut trees. On a budget: Airbnb has some beautiful, homely offerings in Colombo. If you’re not on Airbnb yet, use my referral to get 30$ off your first stay. Upali’s and Nuga Gama serve incredible Sri Lankan food. With inputs from Remya Padmadas – a journalist by day and dreamer the rest of the time. She aspires to travel the world and become a teller of stories. Have you travelled to Sri Lanka or is it on your travel wish list? *Note: I wrote this post as part of the TBC Asia campaign, during which my team explored Sri Lanka in collaboration with Cinnamon Hotels and Sri Lankan Airlines. Connect with me on Instagram, Twitter and Facebook to follow my adventures around the world. Order your copy of my debut book, The Shooting Star, on Amazon or Flipkart. Glad this information will be helpful for you, Pamela. Have a great trip to this beautiful country! Previous PostSometimes We Choose Life, Sometimes Life Chooses Us. Next PostWhat No One Tells You About Writing and Publishing a Book in India.